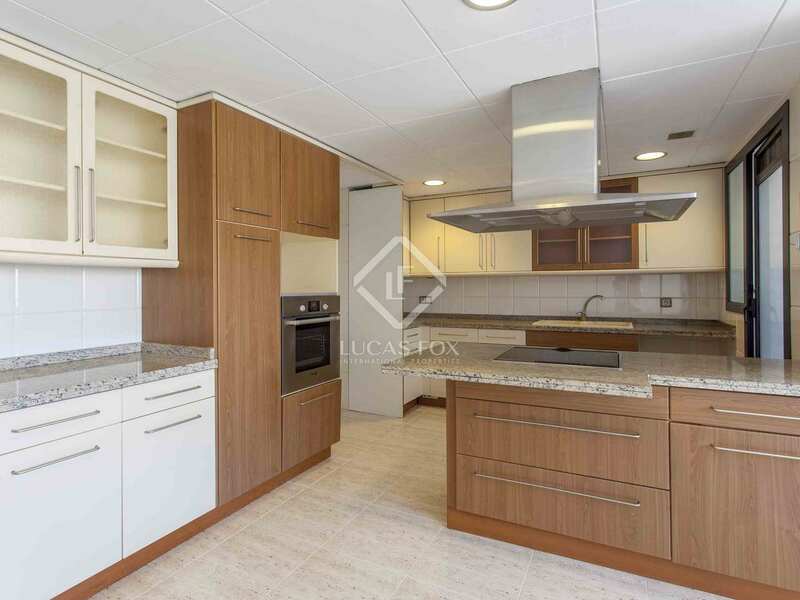 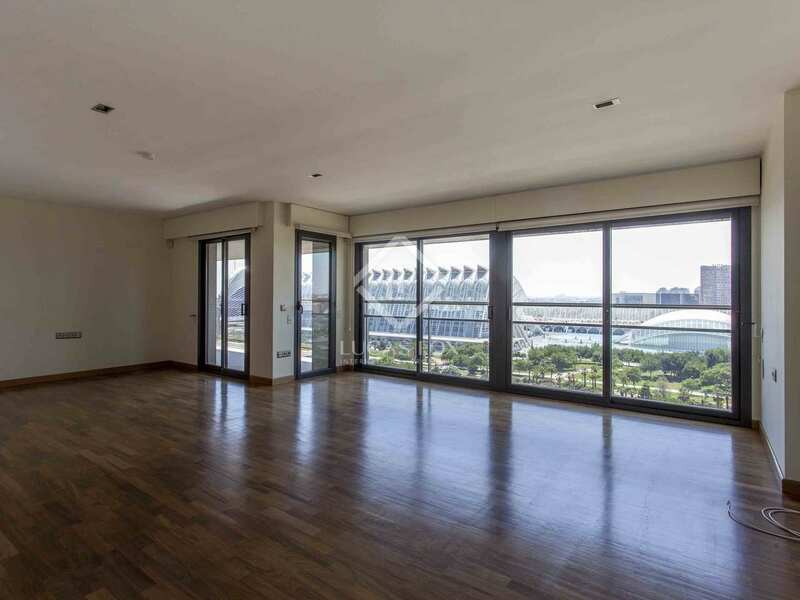 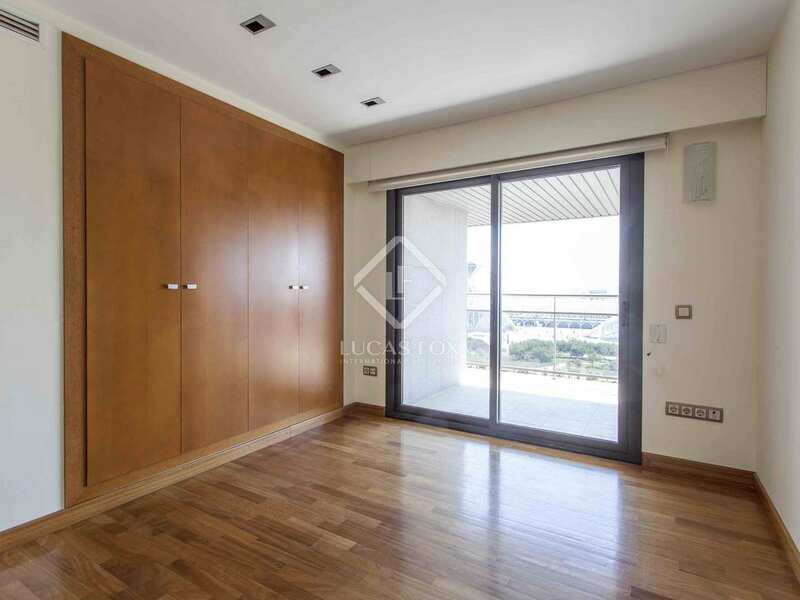 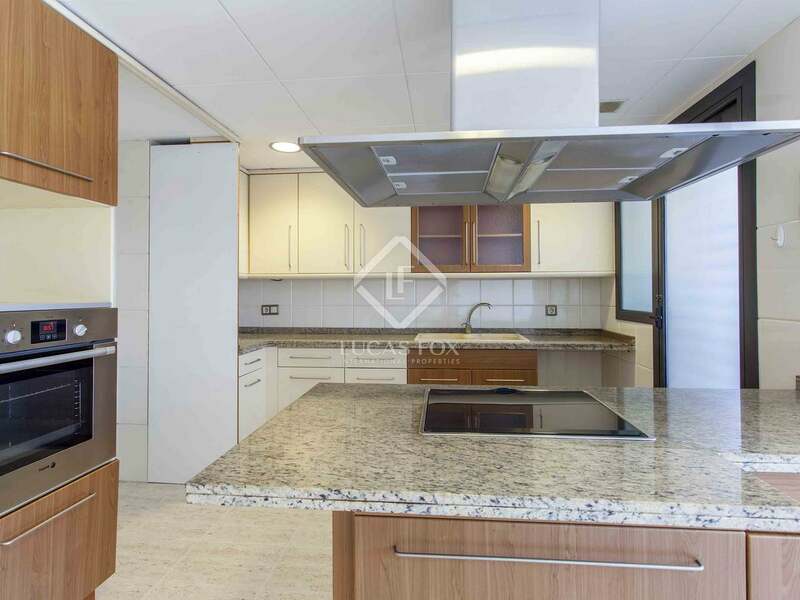 Impressive apartment with fantastic views of the Turia riverbed, for rent in the heart of the City of Arts and Sciences, Valencia. 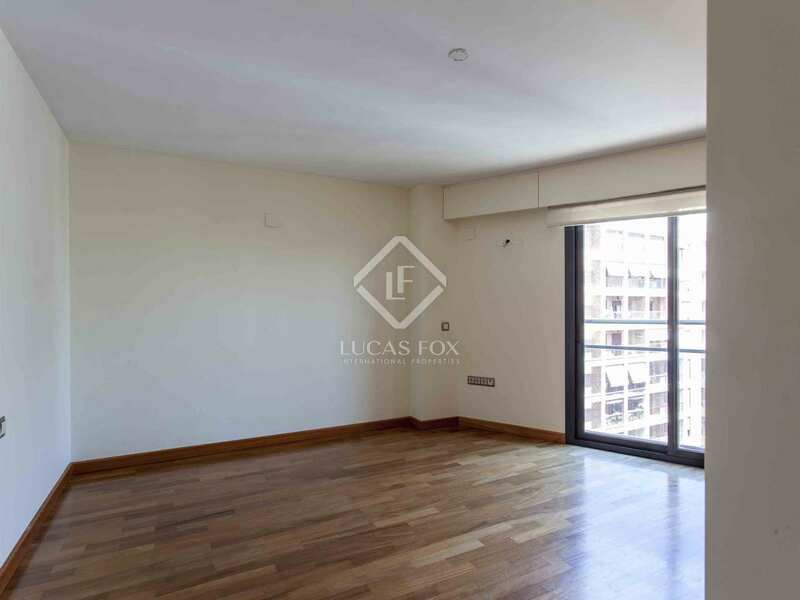 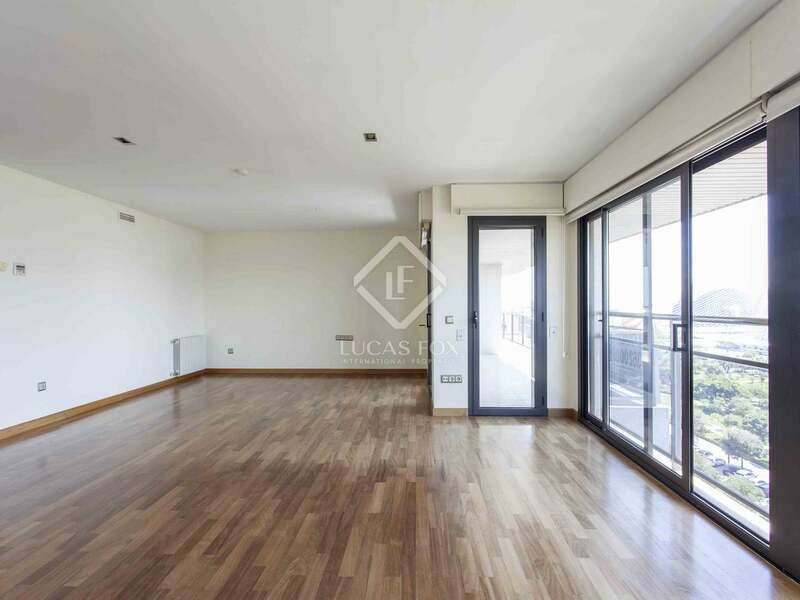 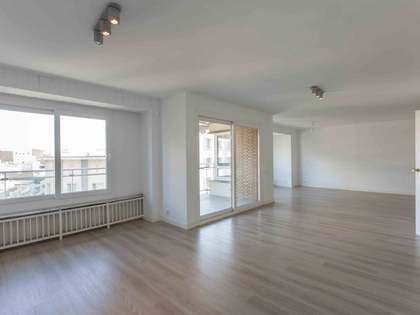 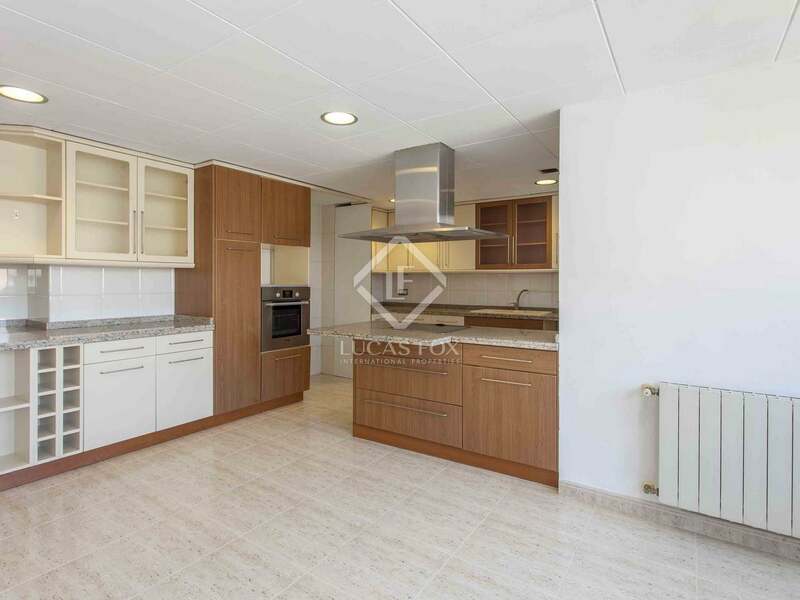 This spacious apartment is located in the heart of the fashionable City of Arts and Sciences in Valencia. 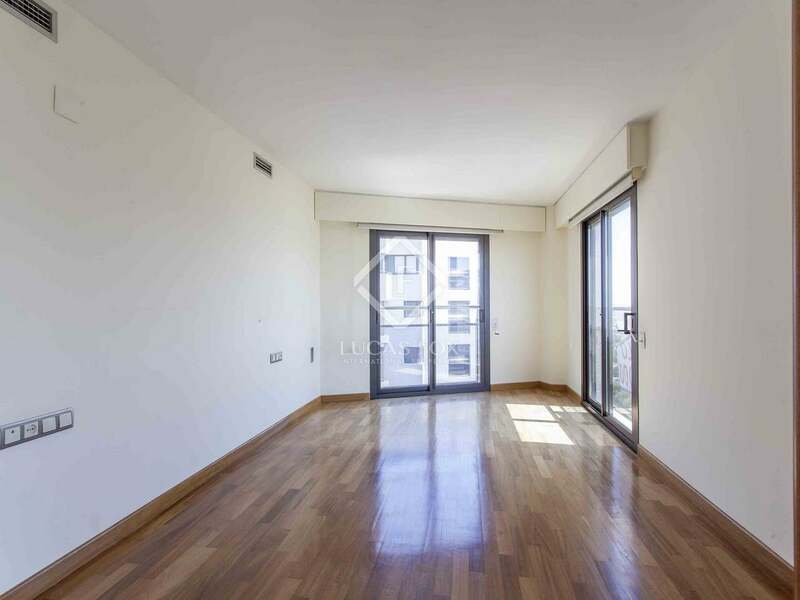 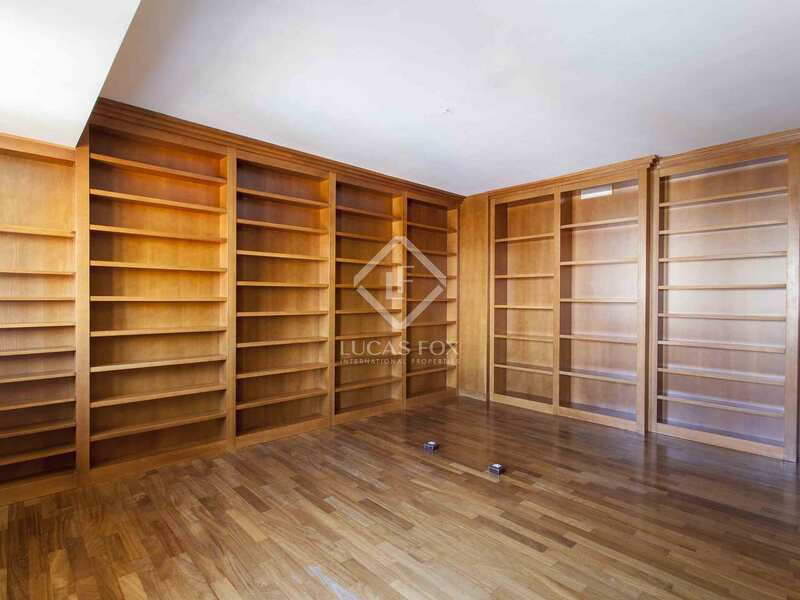 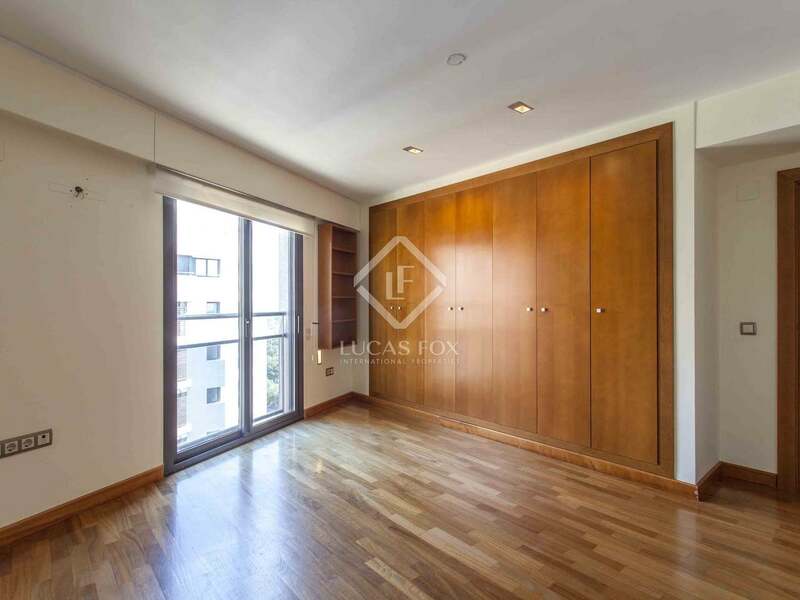 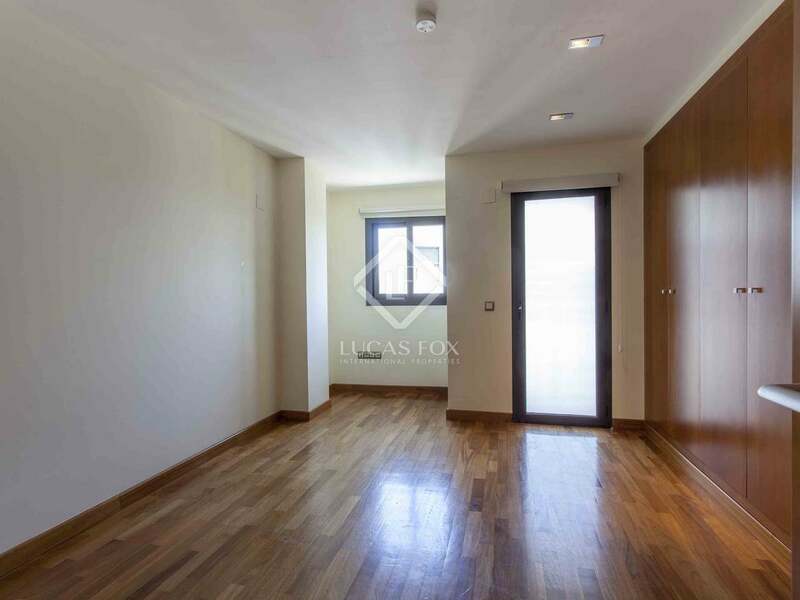 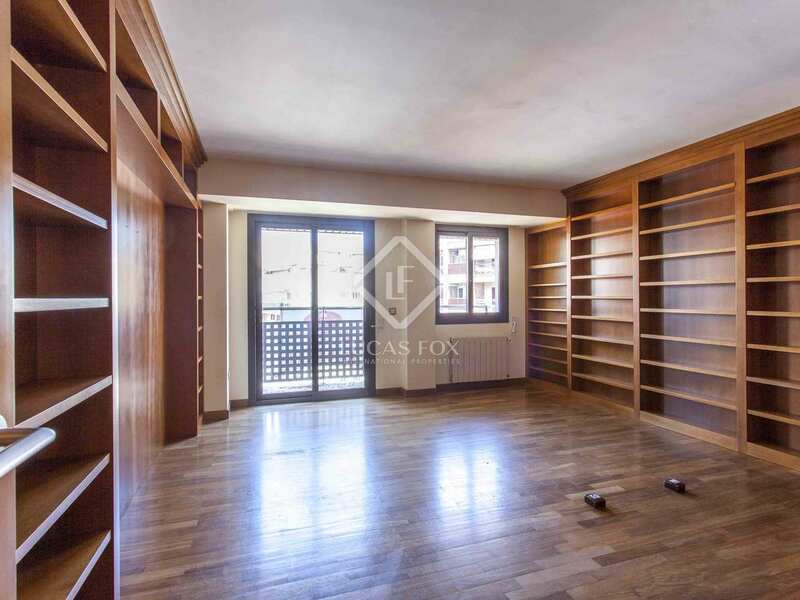 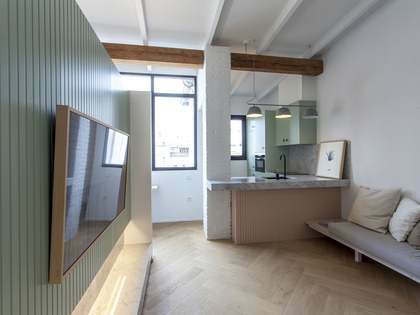 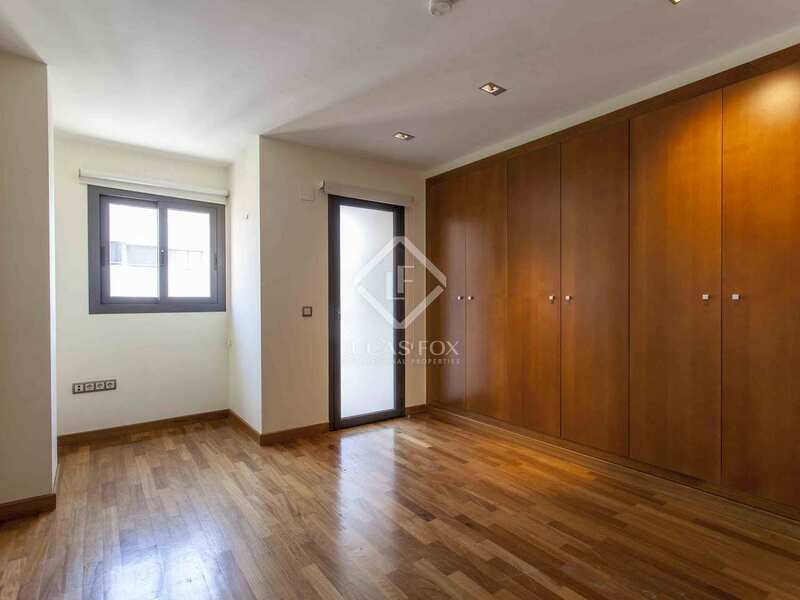 The apartment boasts high quality materials and finishes such as wooden flooring and large Climalit windows. 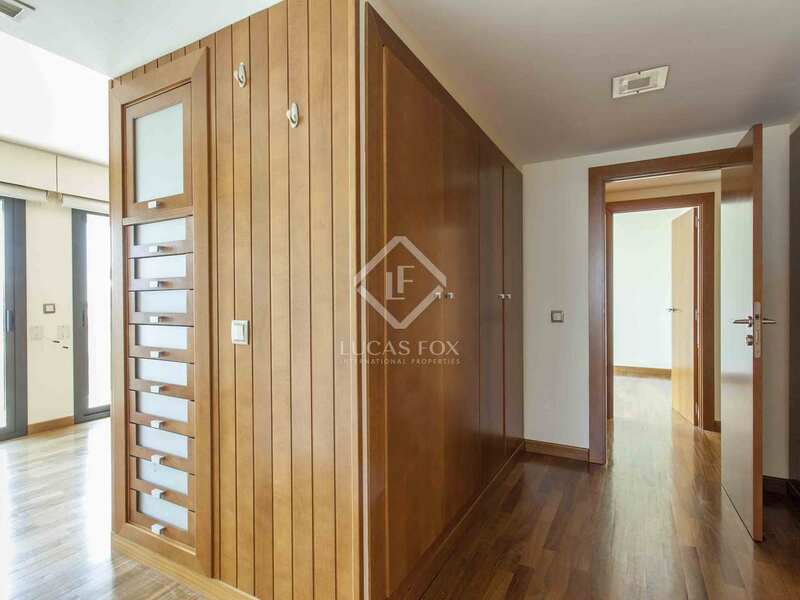 The main façade is southeast facing whilst the rear façade has a northeast orientation meaning that all the bedrooms are exterior facing with unobstructed views. A large entrance hall welcomes us into this impressive property and leads us to the spacious living-dining area with unbeatable city views from the large windows. 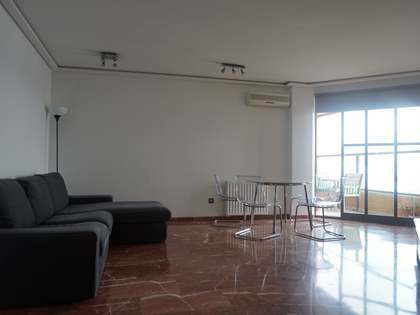 Moreover, panoramic views of the port and sea as well as the Valencian mountain range can be enjoyed from the terrace. 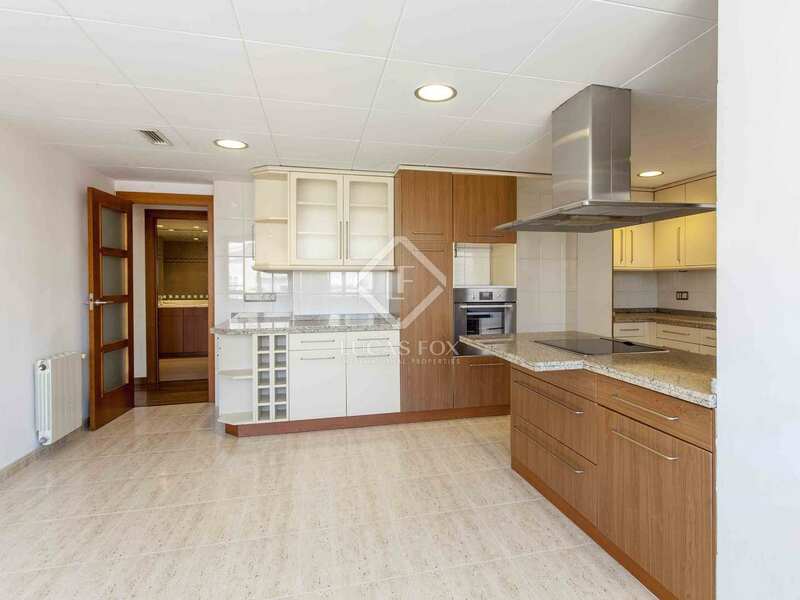 The large kitchen has an informal dining area. 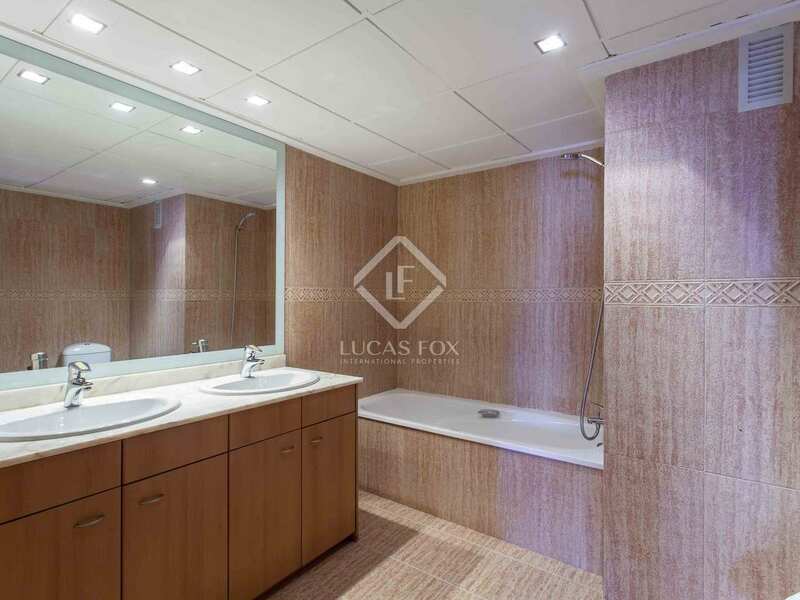 This apartment has a total of 5 double bedrooms of which the master bedroom has a private bathroom with a bath and hydro-massage shower, dressing room, and access to the terrace. 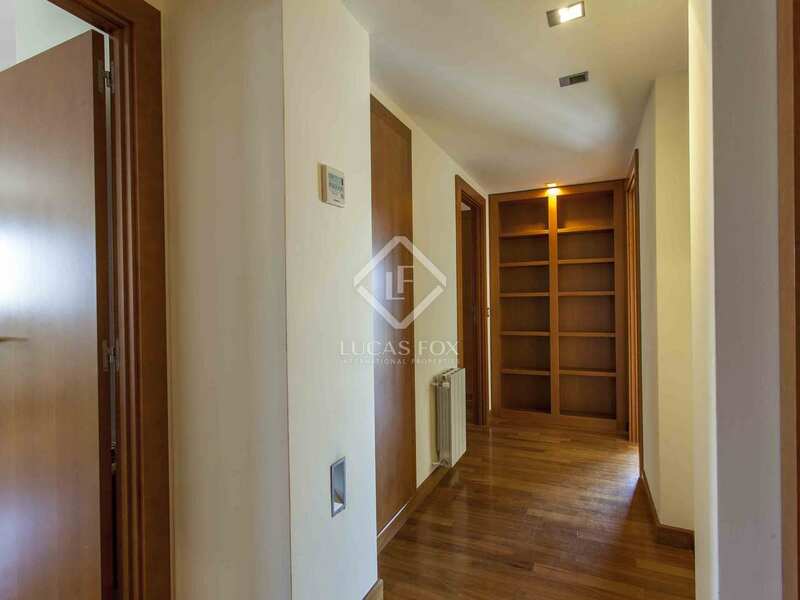 The remaining 4 bedrooms share 2 bathrooms and 1 has access to the terrace. 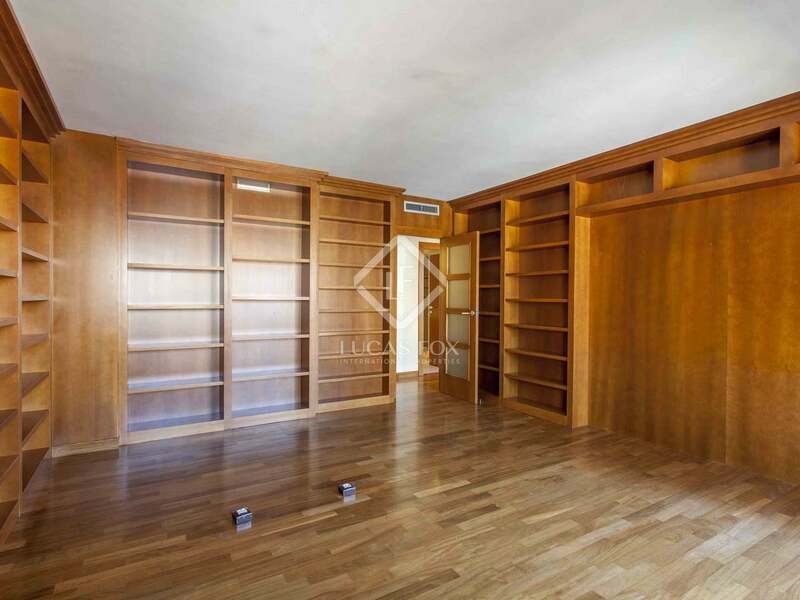 All the bedrooms have built in wardrobes for maximum storage. 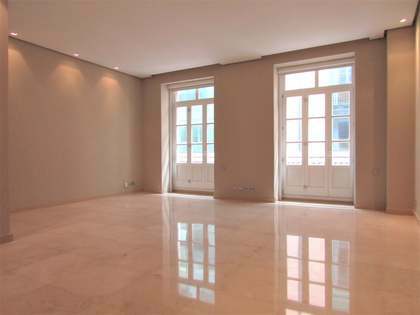 An excellent opportunity for those seeking a spacious home to rent in the the City of Arts and Sciences. 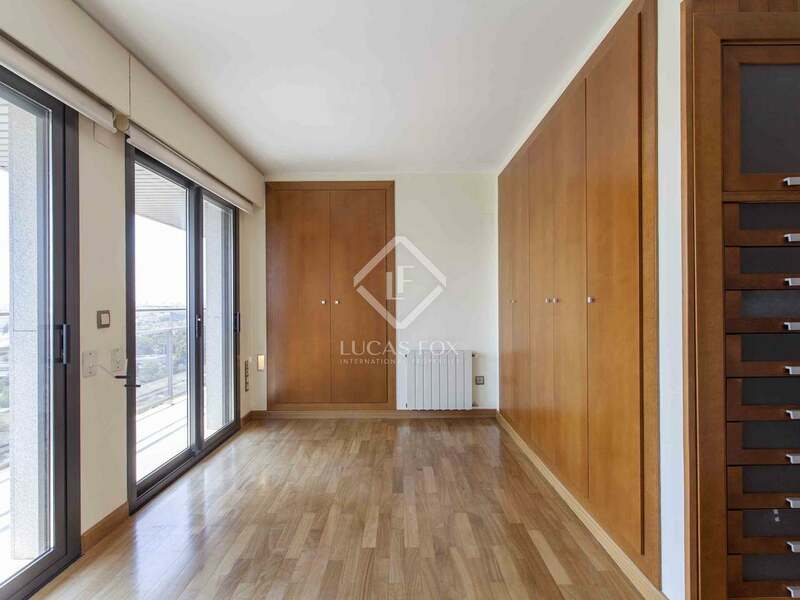 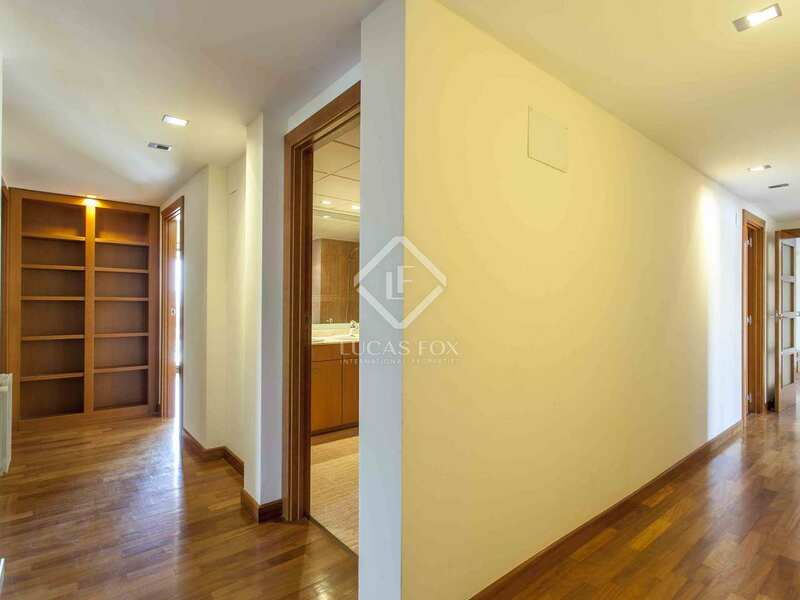 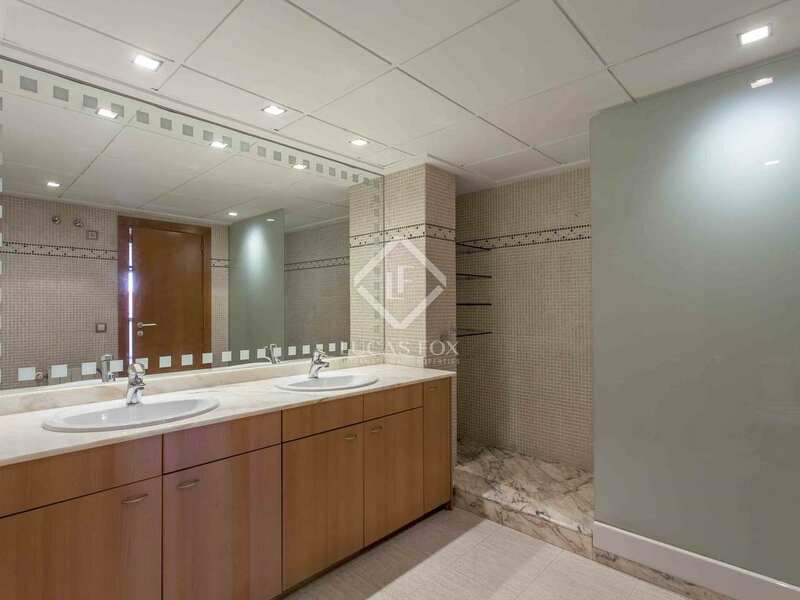 This property for rent is located in the most fashionable and modern area of the City of Arts and Sciences with a wide range of services and amenities on the doorstep. 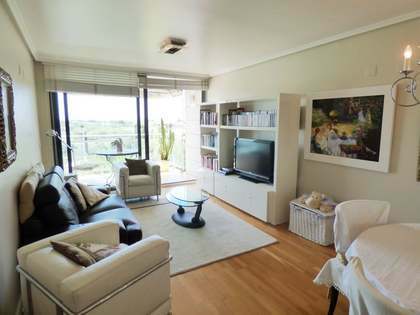 The perfect location between the city and the sea. 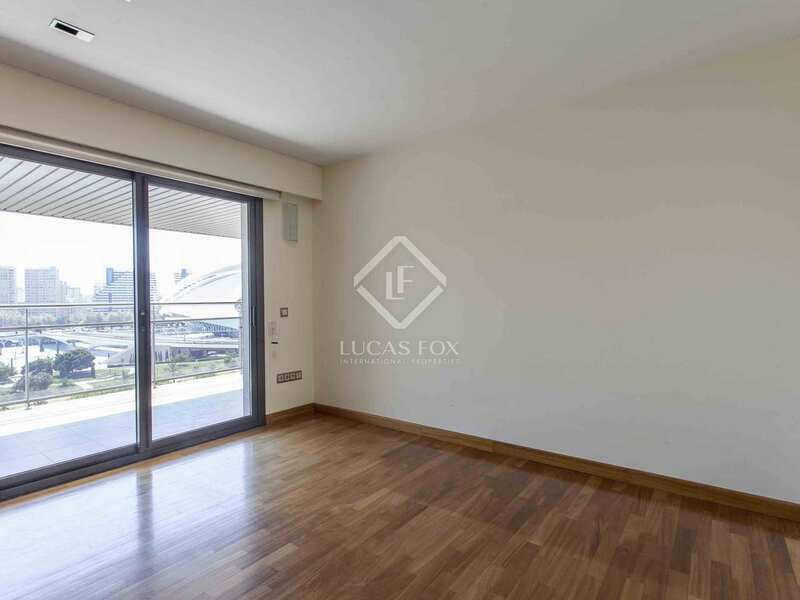 It is right by the Turia riverbed as well as emblematic buildings such as El Palau se les Artes and the Science museum.